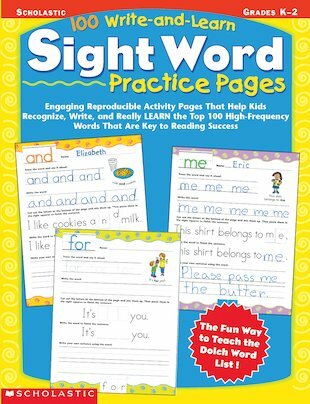 Puzzle and activity worksheets to help you learn sight words: the key to reading success. Would you like to become more confident with sight words? Wish there were more words you could recognise? Now you can learn to read the 100 most common English words on sight. Exciting games and simple exercises make these learning sessions really fun and easy. Result: you will instantly and easily read most words in any text on sight.